I’m excited about this new polish by Liquid Glam Lacquer! It’s called June Bug. 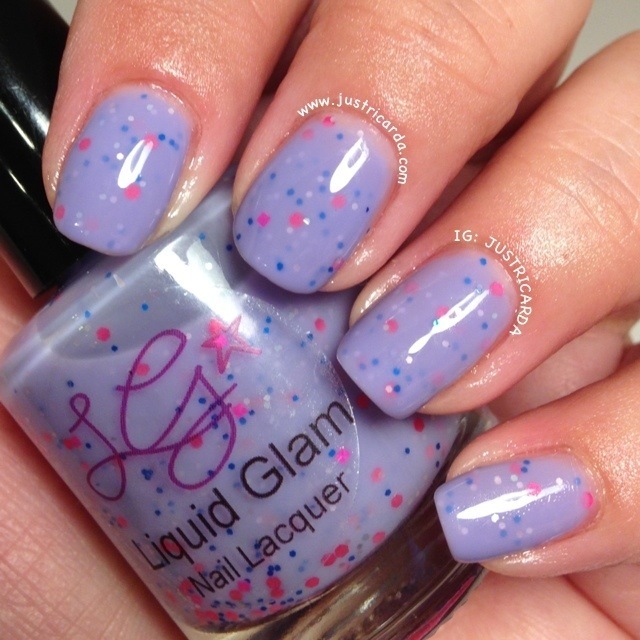 June bug is a lavender crelly base with medium neon pink hexes, small blue and white glitter. The release date for June Bug is Wednesday June 5th.